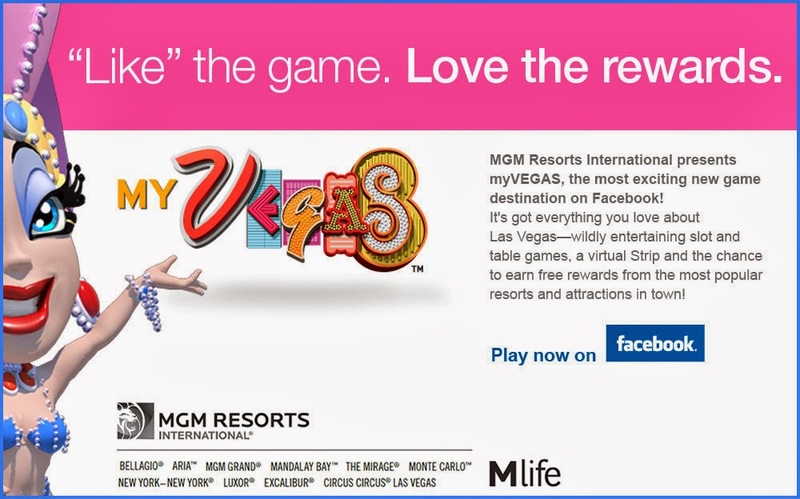 Right now, the Bar at Times Square MyVegas reward is 50,000 loyalty points for a $75 beverage credit in the NY NY Hotel & Casino in Las Vegas. This is one of those piano bars where the seats get reserved for those willing to pay the $15 fee to sit down and the separate cover charge to get in. 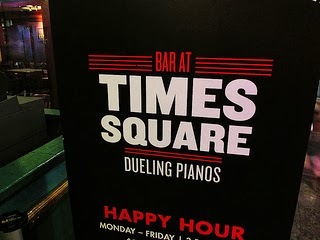 Plus, the piano people won’t play unless they’re getting tips. I decided to avoid this time frame and go before they started charging for every little thing, which was around 8 p.m. We went around 4:30 p.m. because we had the KA show at MGM to go to at 7 p.m and we didn’t want to hurry up and rush through our drinks. The redemption process at the M Life booth was as simple as ever. Hand over your M Life card and confirmation # for the reward and they’ll give you a receipt to give the waiter in less than 5 minutes. The guy told us that we needed to use all the credit before midnight that night, otherwise it would expire. We had planned on using the whole thing in one sitting, so that didn’t apply to us. When we arrived here, it was happy hour (3-7 p.m.) so we got our drinks for a little less than they normally run at an establishment like this. 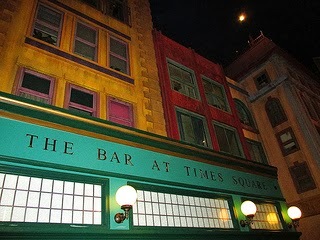 It was about $5 for a lemon drop shot and $10-$11 for specialty and classic cocktails which were served in small plastic cups. I had about 3 drinks, bloody Mary, lemon drop martini, and a Manhattan. My husband had about 3 drinks + a lemon drop shot. We also ordered the Irish nachos which were pretty good, but that might have been because I had a good buzz going on and was hungry. My husband said they were alright, but they ended up adding them onto our drink only tab, so we essentially didn’t pay for it. Our waiter got switched 3 times while being there. The first lady was nice, but not very attentive and there was hardly any one in there at this time. She would just wander off to one end of the bar and go down to the opposite end without asking if we wanted another drink when our cups were sitting empty. Her shift was ending so the other guy that had been twiddling his thumbs at the bar was now our waiter. He spoke broken English and couldn’t understand half of what we were asking him when we ordered our steak Irish nachos. But eventually he got it right and input it into the computer and onto our drink tab. I think that’s the only reason why we got away with not paying for them. He would just stand at the bar though with his arms folded and not check to see if we needed or wanted another drink. We tried to get his attention at least 3 times and each time he acted like he didn’t see us. Then, another girl showed up and started taking our orders in a timely fashion. She was the most attentive of all, but we weren’t going to be there much longer. Thank you to her for actually doing her job correctly. So we left her a decent tip. Unfortunately, the tips probably all get dispersed among them all. I definitely would not have tipped the 2nd guy. Also, make sure that your drink orders add up to $75. Let’s say you have about $70 left, but you want something that costs $10. They told us they couldn’t add it to our tab and we would have to pay for it separately because it was more than what was left. I don’t get why they couldn’t just add the $5 to it and then we pay the other $5. I said whatever, that’s fine and ordered what I originally did, instead I should have just ordered another shot, since they were still $5, but we were full and had enough at that point. Plus it was time to walk the million miles back to MGM so we left with $5 still left on our credit. Not too big of a deal, but money’s money and every little bit helps while in Vegas. This reward is sold out within seconds of being live. 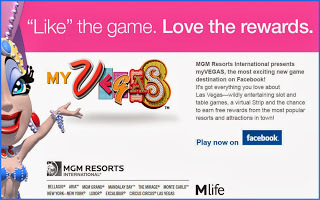 Check back at 7 a.m – 7:20 am Pacific time to get this reward as this is when MyVegas puts new rewards up.